I can't believe 2010 is almost over! This year has been such a whirlwind for me--my daughter started school, we got a new puppy, we got a new car, my husband started a new job, and I started a little blog called Babblings of a Mommy. It's been only 10 months but I feel like I've been blogging forever! To be honest with you, I would have started it much sooner if I knew I would enjoy it so much. It's been a fantastic outlet for me to let all my creative juices out. I've loooved every minute of blogging, especially interacting with all the wonderful mommy bloggers out there that I might have otherwise not come across. 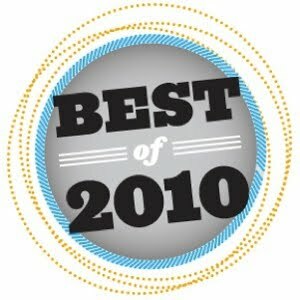 So, seeing that we're so close to closing the book on 2010, I'd thought I'd share with you some of my favorite posts here on Babblings. Favorite Kids Book: "I Love You Stinky Face"
Favorite Look 4 Less: "1 Picture. 3 Looks for Less!" "Me, According to my daughter"
"I Met Him At The Rusty Pelican"
Favorite Yay or Nay? : "Thomas Jane Sneakers, Yay or Nay?" I can't believe it's been almost a year, since I started reading your awesome blog! I absolutely love your style, your bubbly personality, the crisp and elegant look of your blog and your fantastic collages. I am so glad to have met you:) Thank you for styling a rad Maddox Jollie-Pitt's Look for less for Boys Be Cool. Your should guest-blog more for BBC in 2010:) Happy and fulfilling year ahead, Jenny! That's so sweet, Thank You! I will for sure guest blog on Boys Be Cool. Whenever you want me to--I'm there! Congratulations on all your recognitions this year. 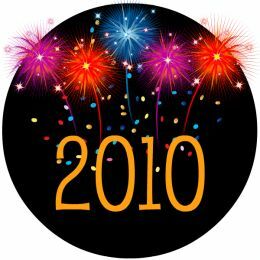 May 2011 bring you even MORE success. Hoping you and your little munchkin have a wonderful New Years!